In this post, I want to look at the curious fact that none of Jane Austen’s heroines (whose ages range between seventeen and twenty-seven) or her heroes (whose ages range from about twenty-four to thirty-seven) have living grandparents. Indeed, that older generation of, say, sixty plus, seems to be missing. Can this be true? And, if so, what difference does it make? To answer these questions, we need a bit of background information about life expectancy in the early 19th century. 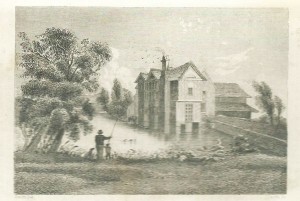 Edwin Chadwick’s ground-breaking 1842 survey on public health, tells us that the life expectancy of a member of the gentry or professional class in Rutland (chosen as a typical rural location) was fifty-two; and for an artisan or labourer, it was thirty-eight. There are, of course, a number of factors to be taken into account: infant mortality rates, for example, but for the purpose of this post, I’m staying with the basic facts, as near as we can get them. The only young lady in Jane Austen’s novels with a living grandparent is Jane Fairfax in Emma who has the aged Mrs Bates, ‘a very old lady, almost past everything but tea and quadrille.’ I’ll be looking at how old Mrs Bates actually is later. 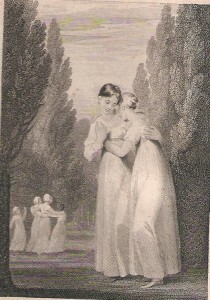 Elinor and Marianne Dashwood, in Sense and Sensibility, live with a great-uncle ‘of a very advanced age’ but he dies on page 2, shortly followed by the girls’ father. These two deaths precipitate a difficult crisis in Elinor and Marianne’s lives. The stark truth is that the generation before the heroines and heroes’ parents’ generation have all died. What’s more, neither Darcy, Mr Knightley nor Captain Wentworth have living parents; Henry Tilney, Emma Woodhouse and Anne Elliot have lost their mothers; and the Dashwood girls have lost their father. There is probably nobody over sixty-five in any of Jane Austen’s novels. If we relate this to out 21st century lives, the difference is shocking. 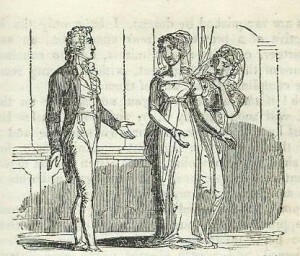 She is talking in jest, of course, but Chadwick’s evidence for the average death rate for a member of the rural gentry being fifty-two, sounds uncomfortably close; and John Dashwood’s assertion that his step-mother will only live another seven or eight years begins to seem worryingly possible. So, let’s consider how old the women of the older generation really are. 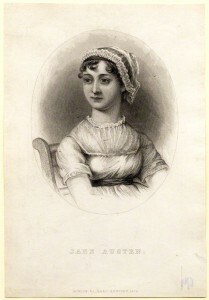 All Jane Austen’s heroines, with the exception of Anne Elliot, are married by the time they are twenty-one; and it is reasonable to suppose that their mothers married at a similar age. So Mrs Bennet, for example, is probably only in her early forties when Pride and Prejudice opens. And how old is the decrepit Mrs Bates? We know that Jane Fairfax is twenty; so Miss Bates is probably in her early forties, which leaves Mrs Bates twenty or so years older – at the most, sixty-five. It comes as a shock as Jane Austen makes her sound about eighty. What about the fathers’ ages? They may be a little older. Take Sir Walter Elliot in Persuasion. We know exactly how old he is from his entry in the Baronetage. He was born in 1760, which makes him fifty-four when the book opens, and we know that was twenty-four when he married in 1784. I suspect that Mr Bennet was not much older when he married his lively and attractive (but silly) wife. My guess is that the fathers of our heroes and heroines are in their fifties. 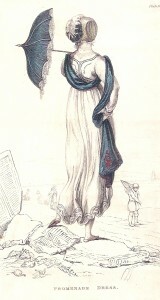 It was the usual age for exceptional naval officers to be promoted to admiral – as was Francis Austen, Jane’s brother, for example. And the same went for Army officers’ promotion to general. We know that Admiral Croft was looking for a home after the end of the Napoleonic wars; and General Tilney might well have sold out when his father died and he inherited the Northanger estate. What interest me, though, is that all of this generation sound much older. Lady Catherine de Bourgh’s imperious ways make her come across as sixty plus rather than being in her early forties, which is probably nearer the truth. Sir Thomas Bertram’s heavy gravitas sounds like a man twenty years older. It’s as if they have all adopted the behaviour and tone of that now missing older generation. Mrs Dashwood is only forty, for heaven’s sake! I’m surprised she doesn’t fancy Colonel Brandon herself. It is sobering to think that, according to Chadwick’s research, all the fathers of the heroes and heroines in Jane Austen’s novels are probably overdue to meet the Grim Reaper. Anne Elliot, by breaking off her engagement to Captain Wentworth at nineteen and refusing Charles Musgrove’s offer of marriage two years later, knows that she has probably burnt her boats with regard to marriage. All she can look forward to is a poverty-stricken old age. Money-wise, she is due to receive a third of the £10,000 left by her mother, which will bring in about £160 p.a. She’ll be slightly better off than her friend Miss Smith, but that’s all she can look forward to. From a 21st century perspective, there is another question, and that is: what is the psychological effect on the parents of having nobody of the sixty plus generation above you? This question, of course, would not have bothered Jane Austen – but we are allowed to ask it, all the same. There is no-one above General Tilney, Sit Thomas Bertram or Mr Bennet in seniority who they can ask about estate-management problems, say. We can see that Mr Knightley, Sir Thomas Bertram, and Colonel Brandon all take their responsibilities as landlord seriously – Mr Knightley spends a lot of time conferring with William Larkins, for example. However, others are more indolent; Mr Bennet spends his time reading in his study; Sir Walter Elliot gets into debt; and heaven knows who is managing Hartfield – because Mr Woodhouse certainly isn’t. And there is no senior male figure to curb their excesses, crack the whip or give advice. And what are the older women doing? 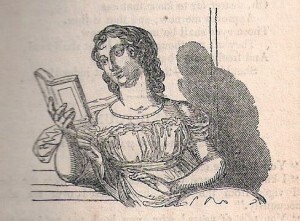 Some, like Mrs Morland in Northanger Abbey, are busy with managing her household and educating her children. 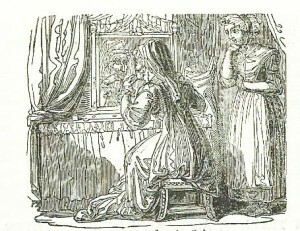 However, she has failed to teach Catherine any of the housekeeping skills she is going to need – and there is no grandmother to take over that duty. Lady Bertram in Mansfield Park is indolent beyond belief and seems more concerned about her dog than giving her daughters any moral guidance. As far as we can see, she is wasting her life. And what an appalling example for her daughters. Mrs Bennet is empty-headed and concerned only with visiting, news and marrying off her daughters. However, one must acknowledge that she does manage the latter with spectacular success! Though that is probably due to her passing on her good looks and sexual attractiveness to four of her five daughters. One thing is clear, though. Having no older grandparent generation narrows your life options, especially if you are a young lady. It is vital that you find the right husband within a few short years; and after that, your life is set. You either have a home of your own and set about having children, bringing them up and marrying them off in their turn, or you find yourself living on the fringes of other people’s lives as could so easily happen to Anne Elliot. We see this when she goes to her father’s new house in Bath: Sir Walter notes that her arrival makes the numbers even at dinner, which he sees as an advantage. And that’s it; that’s all she’s worth. There is no time or opportunity for a young lady to spread her wings and look about her; and Society rarely offers straying women a second chance, as Maria Rushworth finds out. And you can’t go and stay with doting grandparents, lick your wounds and try again, because they aren’t there. Thank goodness this is the 21st century! Gosh, this had never ever struck me before, not in all the hundreds of times I have re-read JA’s novels. It certainly gives a new perspective on life in the early 19th Century. Thank you for your comment, Jan. It surprised me, too! I kept thinking I must be wrong: surely Lady Catherine de Bourgh was Darcy’s great-aunt. She certainly sounds like one. But she’s w woman with a young unmarried daughter. My voyage of discovery was a disconcerting one at times. Thanks for dropping by, Anne. I always enjoy your comments. The ‘missing older generation’ factor only struck me very recently- and I’ve been reading and re-reading Jane Austen’s novels since I was about 14! But once I saw it, I noticed that most of the older generation sounded at least twenty years older than what was probably their real age. Except for Mrs Bennet who admits to still liking a red-coated soldier in her heart – and why not? She can’t be more than her mid-forties. Poor thing – she’d have had a ball in the 21st century! Fascinating, and something I’d never thought about before. I shall now have to go and find out about the Bronte sisters’ books! Thank you for dropping by, Lesley. I know just what you mean! I found myself wondering about Dickens’ older characters – but the thought of analysing them all made we want to go and lie down in a darkened room! Much though I love Dickens. You are right to stick to the Brontes! Extremely interesting. I must say that it puts Anne Elliot’s rejection of Charles’s proposal in an almost heroic light. She won’t short-change him or herself, when she knows her feelings are not engaged but the price she would know she was likely to pay is chilling. I have always thought that Captain Wentworth’s flirtation with Louisa Musgrave, while perfectly understandable is almost too painful to read. After reading this excellent article, I now feel it is the stuff of tragedy. How lucky we are that Mis Austen relented and allowed Anne and her Captain a happy ending after all. I absolutely agree with you, Jenny. Once one considers what could happen to girls who are dowerless – or almost – if they don’t marry before their fathers die, then the true horror of their predicament really shows up. What would happen to Anne Elliot? To the unmarried Bennet girls? It doesn’t bear thinking of. And if the mortality rates for the gentry is only 52, that makes everything so much more urgent. Fascinating. , especially when you consider that Jane Austen’s parents did not die young. Her father died in 1805, aged 73 or 74 and her mother, who survived Jane by ten years, was 88 when she died. Jane herself was used to a multi-generational family – her letters are full of her nephews and nieces i.e. her parents’ grandchildren. One reason for the absence of the older generation, the men in particular, in her novels may be that her heros can only come into their inheritance on the death of their father. What would Mr Darcy be if he was only heir apparent to a 65-year-old father in good health? That’s a very perceptive writerly point, Catherine. I hadn’t thought of that – and you could well be right. Henry Tilney has to take a lot of flak from his very much alive and irascible father which tests his mettle. And, as we know, heroes need their mettles testing! A very interesting take on Jane Austen’s world. Like Shakespeare, the time and place she occupied continues to hold us in thrall and speak to us. Even those who didn’t like her work (step forward, Mark Twain!) felt passionate about it. It could be argued that grandparent longevity is a more modern development than we think. I am still fairly young(ish) but never knew my grandparents, who all succumbed to illnesses that are now treatable, or else simply to the long-term effects of life-long hardship. Quite a few of my friends are in the same boat. I always thought Mrs Bates probably ‘kept her eye in’ and had a lot going on inside her head, which she (wisely) kept to herself. A lovely, well-researched piece, by the way. Thank you for it! Thank you, Gabrielle. Much appreciated. Did you mean ‘Mrs Bennet’ rather than ‘Mrs Bates’? If so, I’ll change it. Thank you for this. Very thought provoking! Having read the books and watched many screen adaptations I had never noticed this now very obvious lack of grandparents. They feature so heavily in my own short stories as advisers, comforters, friends and the voice of wisdom. How longevity has changed in 200 years. How long will be expect to live in another 200, I wonder? Thank you for your comment, Viv. For writers of fiction, I agree that the introduction of an older character as a comforter or guide, or even as a block to the happiness of the main protagonist is invaluable. And Jane Austen, of course, has them, too; think of the Gardiners in ‘Pride and Prejudice’. It’s just that hers are a lot younger than we probably realised! What an interesting take, Elizabeth. I hadn’t thought of it in connection with Jane Austen’s works, and I am surprised that life expectancy average was 52 for the gentry. It seems inordinately young. I agree with you that the older generation come across as we would think of grandparents, but I don’t find that as surprising when you consider that those of us of the boomer baby generation are much more “young” in outlook, appearance and behaviour than were our forebears. I remember when a child that women in their fifties and sixties behaved like respectable matrons, or were considered bohemian. We of the wild child era never did – I suppose some did, but I’ve not met them! Women now in their sixties and early seventies behave as if they were forty/fifty. So perhaps the same shift has occurred in the intervening couple of hundred years since Austen’s time. I know I write of married women of late twenties and thirties in my books as young matrons. Though I might have to rethink my habit of scattering great-aunts around to hamper my heroes! Thank you for your thoughtful comments, Elizabeth. I think you’re right that the baby boomer generation have gone into a higher gear, as it were, on hitting their sixties. But please keep your great-aunts – heroes need them, otherwise how do we know they are heroes? I’m glad you enjoyed it, Christina. I think the feeling young thing is partly a question of mind set – as well as a good genetic inheritance! I’ve known many people in their 80s and even 90s who are real live wires – like your mother. But nobody could possibly call Lady Bertram a live wire! 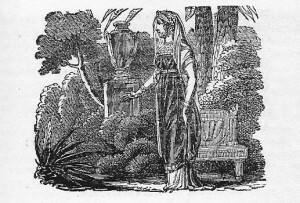 I suspect literary considerations are also at work in Jane’s stories–why have an entire extra generation to keep track of among the dramatis personnae, in the first place, and making characters more orphaned has to help with empathy in the second. Very interesting observation, though. I hadn’t picked up on this at all. An interesting point, Grace. And thank you for dropping by. If you think about it in terms of the story structure, the older generation can add very little. Mr Bennett has to be the senior figure or the story doesn’t work. Same with Darcy and Bingley. In fact think about all the effort Enid Blyton went to getting parents out of the way to give her child characters autonomy. Think about how many orphans there are in literature. Or how many thoroughly unsatisfactory parents! Sir Walter Eliot, I’m looking at you! A lot of it is about ensuring the autonomy and authority of various characters and giving them the adult role. And getting rid of extraneous characters. Elizabeth, you are brilliant! You are absolutely right, of course. The first rule for any novelist is to get rid of the heroine’s mother. Or at the very least make her the sort of person who is seriously detrimental to her daughter’s start in life. And the same goes for Austen’s heroes. Where would the story be with a benign General Tilney? However, the attitude towards anyone over forty, particularly women, in Jane Austen’s novels is interesting. The forty-year-old Mrs Dashwood, for example, has plainly stopped thinking of herself as a woman who is attractive to men. Poor Miss Bates is redundant as far as society goes. The same goes for Mrs Smith in ‘Persuasion’ – at least Sir Walter obviously thinks so. I could write a whole post on a lady’s role as housekeeper in Jane Austen’s novels, because one could argue that that is her principal role. Mr. Gardiner would be able to help support Mrs. Bennet and any of her surviving children if Mr. Bennet pre-deceased them is outrageous. I agree, Ann. I just love the way that the little Gardiners greet their parents on their return from Derbyshire: ‘the joyful surprise which lighted up their faces and displayed itself over their bodies, in a variety of capers and frisks, was the first pleasing earnest of their welcome.’ One can’t help thinking that Mr Bennet was unlikely to have been a hands-on uncle, and Mrs Bennet was probably not a very comfortable aunt for small children. I’m not sure her ‘nerves’ would stand the noise of their capers and frisks. Though, of course, Mrs Bennet also has her sister, Aunt Philips in Meryton. Would the Philips take in Mrs Bennet and any unmarried daughters, if Mr Bennet died? I believe that Aunt Philips is more like Mrs. Bennet than Edward Gardiner. Who knows if Aunt Philips would allow Mrs. B and daughters to live with her after the Collinses take over Longbourn? I suppose it depends on whether AP is on her own at the time of Mr. Bennet’s death. She could possibly use the company, as well as part of Mrs. B’s funds to help support the household. I can see her encouraging the final few daughters to find husbands. Thank you, Ann. I agree with you. Very thought-provoking! Many authors ruthlessly remove grandparents and often one or both parents. In my favorite manga, we are dealing with a bunch of 16 to 19 year olds. Six do not have mothers, and have inept fathers. One has missing parents. One has a missing mother and an awful father. No grandparents in sight. See the pattern? I guess there would not be a story that would catch a reader’s interest if everyone had an intact family. Thank you for your comment, June. How interesting that the fictional pattern continues. The difference between modern writing and Jane Austen writing in the early 19th century is that, according to Edwin Chadwick’s research in the 1840s, the mortality rate for the parental generation actually was much younger than it is today. So it was based on fact as well as being a good fictional ploy to get interfering parents out of the way! Elizabeth, very perceptive survey of the lack of the elderly in Austen’s novels. On the issue of life expectancy in general, you mention infant mortality in passing; this had a profound effect statistically because half of all kids died before maturity. Many, many men also died young in the horrific wars that carried on for most of Jane’s life. Women often died in childbirth, including 3 of Jane’s sisters-in-law. Two of these, Elizabeth and Mary, died after 11 children! Undoubtedly, women were so worn out from life they were 20-30 years older from a health standpoint than today. If the average survival age was 38/52, then anyone who survived all the horror would likely live a very long time, or life expectancy would be even shorter! Jane’s father lived till 73; her mother lived to 88, and her battle-ax aunt lived about as long. Only Jane and her brother James died young; the rest of her siblings lived into their 70s (Cass, Charles, George, Henry), 80s (Edward), and 90s (Frank). Thank you for your thoughtful analysis of life expectancy in Jane Austen’s time, Collins Hemingway. I’m very glad you’ve brought all this up and made such an elegant contribution to the conversation. I chose not to go into detail about it because I’m always concerned lest my blogs be too long. I think they are better if they are focused. Interesting. I can’t imagine not having grandparents (although only my grandfather on my mother’s side and my grandmother on my father’s side were alive when I was born). Grandparents added such value to my life. It would have been terrible to not have them with all their stories and insights. Great post. Thank you for your touching and heart-felt comment, Geri. I do agree. But at least some of Jane Austen’s characters had special older people in their lives – like Anne Elliot and her god-mother, Lady Russell. OK, her advice re Anne’s first engagement to Captain Wentworth was mistaken, but she was a great comfort to Anne when her mother died. 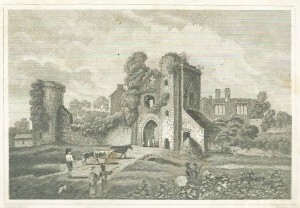 And Emma had her Miss Taylor, later Mrs Weston. And Fanny Price had her brother William. It’s true that he was only three years older that she was but, when you’re only ten, thirteen seems quite grown-up. And they are obviously devoted to each other. Fascinating stuff, Elizabeth. It had struck me when reading P&P that the Gardiners played a role similar to grandparents for Jane and Elizabeth. But the older generation was never really on my radar until you pointed it out. Still, Darcy does have his uncle the Earl of Matlock, who — with his wife — would be of that generationm wouldn’t he? And I have come to view Colonel Tilney as one of the undead so heaven knows how old *he* is! LOL! Thank you for your contribution, Janis. Much appreciated. If the Earl of Matlock is Darcy’s uncle, then he isn’t of the grandparents’ generation – he’s the same vintage as Lady Catherine, who is Darcy’s aunt – not great-aunt. Part of the confusion is that the parents’ generation all talk as though they are much older than they probably really are. Lady Catherine speaks as though she’s about seventy – and, as she has a young marriageable daughter (Anne de Bourgh), she can’t be much more than her early forties! Hello Elizabeth, thank you so much for this post! Very interesting as it covers the spectrum of works and puts it into context. I’m looking forward to your next blog! Thank you, Nikki. How kind. I do try to make my blogs interesting, not too long and with plenty of pictures! Thank you for your comment, Will. I used to work for an Arts and Antique magazine. I’m not sure what effect it had on my sense of colour but it certainly made we think seriously about page layout etc. And, of course, thanks go to my computing wizard friend John, who translated my ideas into something which worked on the computer. Thank you, Cerys. Much appreciated. I’ll do my best not to disappoint you! Thank you for your comment, Vada. I post on all sorts of things but I always try to interest and entertain. And I also try to write clearly!